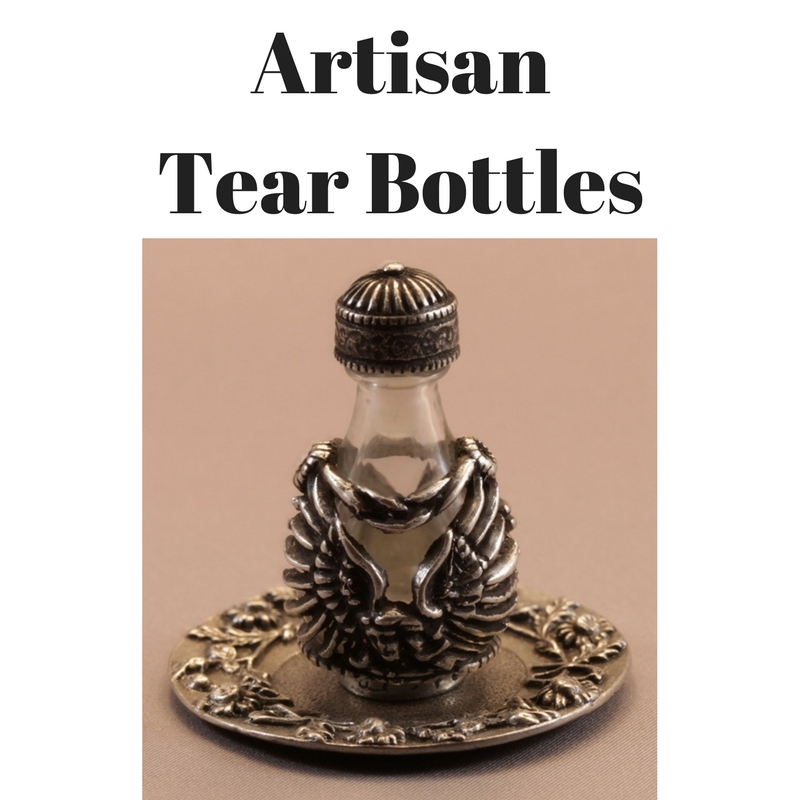 The Roma tear bottle line is based on ancient Roman design - harkening back to the origins of lachrymatory tear bottle history. 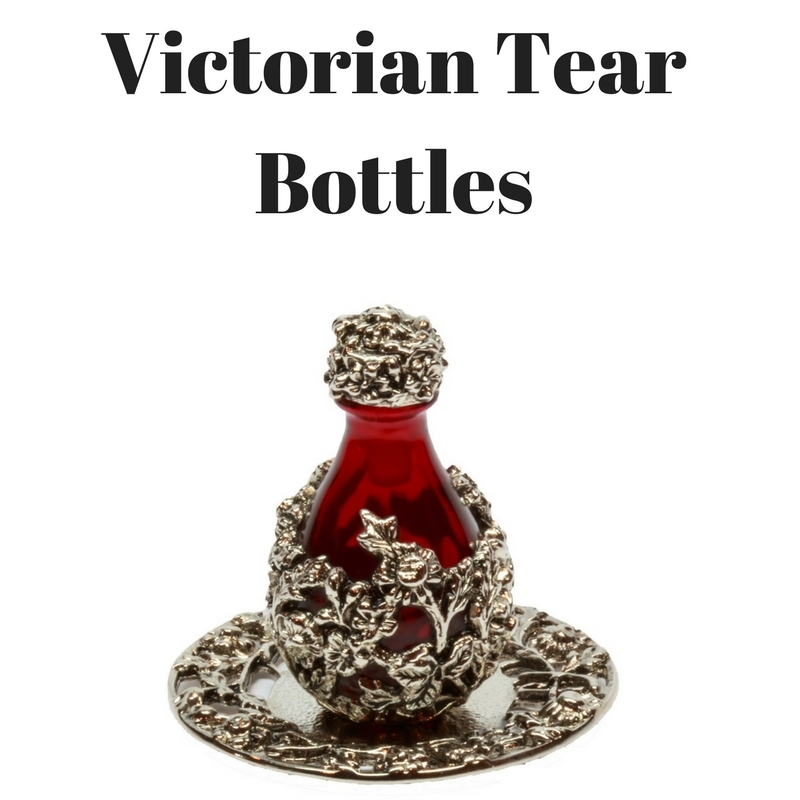 The Roma tear bottles were originally made in two styles - one with finely decorated metal bands and the second with a “basket” cradling the bottle base. The basket style is no longer being made but the banded style is still available. Each tear bottle in the Roma line is crowned with a blue Swarvoski crystal, giving all of the bottles a formal, regal appearance. Each stands approximately 2 inches in height. So they are small but precious. 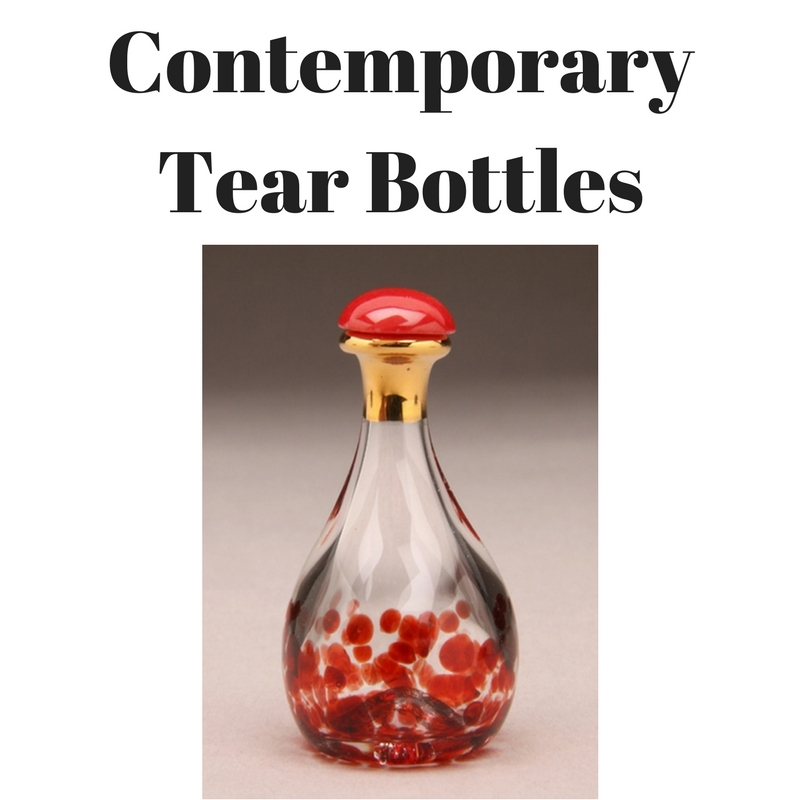 With each tear bottle you order, you will receive an elegant organza gift bag and a small story card that explains the intriguing history and meaning behind the tear bottle tradition.